Many of the players I meet have goals on and off the pitch. 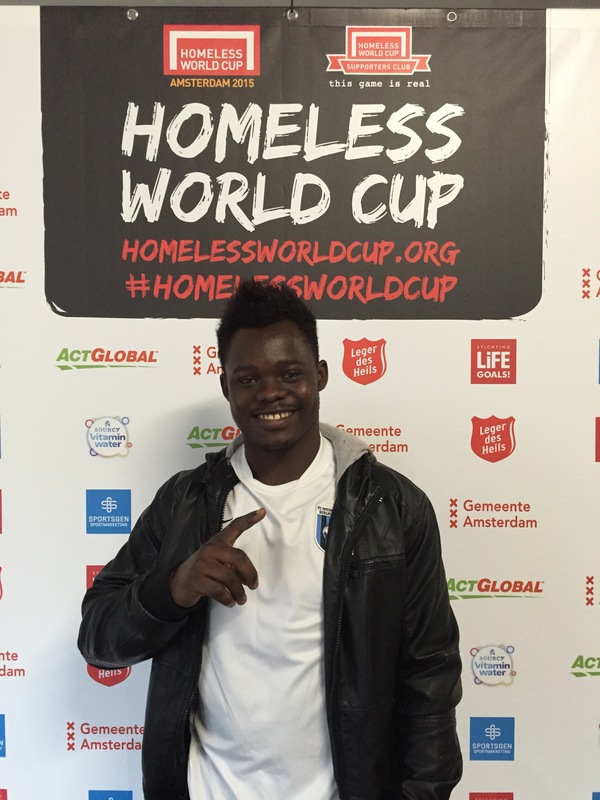 The experience at the Homeless World Cup can be a life changing one. For Frederick Soluski playing in the Homeless World Cup in Poznan in 2013, was the catalyst to moving forward. As part of the Ghanaian team that year, it inspired him to chase his goal. It was football that helped him, saved him from obscurity in Accra, and opened the door to the possibilities. "Life is tough in Ghana and everybody is working and striving to make a better life for themselves. You have to keep asking and hoping that one day the door will open. ". He said. There is support available from individual organisations like GIMAT Volunteer Network (GVN) who helped Frederick. He acknowledges without them he would have still been struggling. "About 6 months after Poznan, I was writing to football clubs hoping to get a trial. Eventually i had a response from FC Internationale Berlin" I moved to Germany and have been playing ever since. I hope to get a job soon. " He is also working with young people on a &apos;no to racism&apos; project and he had to be here in Amsterdam to reconnect from where he started. It&apos;s always good to hear the progress some of the players make. I asked him how could we address the problem of homelessness. "I wish there was a place for everybody to go in every town and city, unfortunately there isn&apos;t. If I were in charge there would be." "People need to realise that we need each other, you cannot exclude a whole group of people one day we will need each other. " Frederick has proved there is more than one way to score a goal.